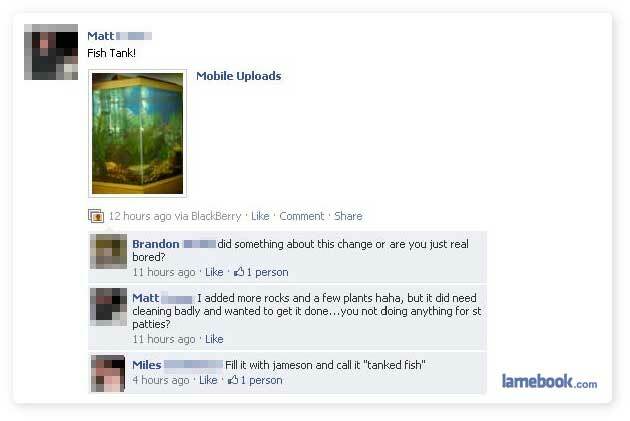 Lamebook – Funny Facebook Statuses, Fails, LOLs and More – The Original » Picturesque Wins! WAIT. I get it. I feel dumb now. 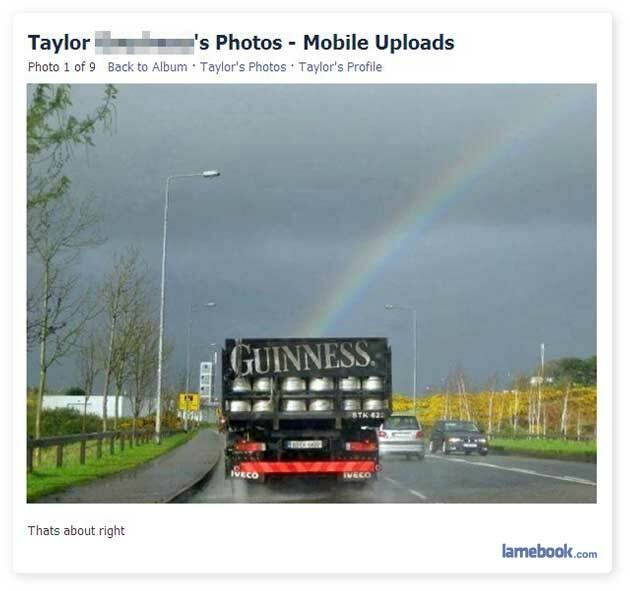 I like Guinness and all, but I’d still rather the pot of gold. @CommentsAtLarge: Take the Guinness, sell it to some Irish/students… Voila, gold (Or at least quite a bit of money). Guiness is the only good beer. I’m more of a hard liquor person. I could really go for a long island iced tea right now. I’m guessing you’re not British, haeckelsembryos. Guinness is not the only good beer, it’s not even a good stout. Lamebook has been terrible recently. Unlike haeckelsembryos, I am more of a wine connoisseur. A nice aged MD 20/20 would be fabulous right about now. I am also more of a wine person… in fact, I’m drinking a glass of cabernet franc right now, although I much prefer white wine. I’m an alcohol person.I check the percentage and as long as it is above 5% I drink it. herclues, dude, what’s going on with you? @CommentsAtLarge It’s a pot of gold? That’s disappointing, I always thought it was just pot. And, hercules, you seem to be getting into sticky situations every 2-3 minutes. I’d suggest you see your doctor. http://www.lankanewspapers.com/news/2006/12/10404_space.html <–Perhaps this is a male condition of the same sort. say whatever you want about any facebook user anonymously! Well I’m really not a fan of beer at all. I like vodka and cocktails, and occasionally wine. But no, I’m not British, I’m Swedish. Not sure what that has to do with anything. I’m an alcoholic. I check the percentage and as long as it is above 10% I drink it. 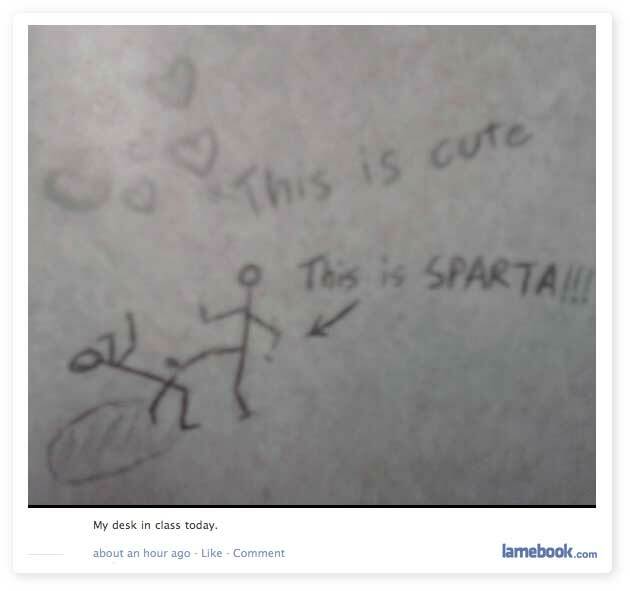 The second picture is awesome… This is Sparta!!! haeckelsembryos, you should have more Canadian beer.